This is your opportunity to own a single level home with a pool in a gated community in Central Maui. With a lot of over 15,700 sqâ, 11 Keoneloa offers the second largest lot at Sandhills estate. (The vast majority of home sites are 8K-10K sqâ.) The well-designed interior with new flooring and countertops offers three bedrooms and two bathrooms. 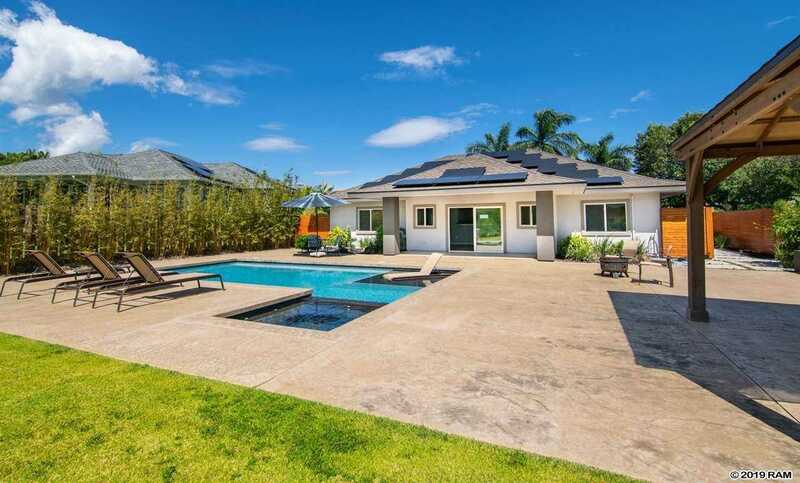 The open living area is ideal for entertaining as it opens to a backyard that provides an oasis setting with a pool, spa and gazebo looking out towards the golf course and West Maui mountains. With 33 owned PV panels, you can stay cool every day with the split AC units. Sandhills Estates convenient location means you are minutes away from shopping, dining, medical facilities, the MACC and more! This home is very easy to show, so have your Realtor set up a viewing soon. Please, send me more information on this property: MLS# 381720 – $949,000 – 11 Keoneloa St, Wailuku, HI 96732.